"Cast yourself into the arms of God and be very sure that if He wants anything of you, He will fit you for the work and give you strength," proclaimed the 16th-century Roman saint Philip Neri. 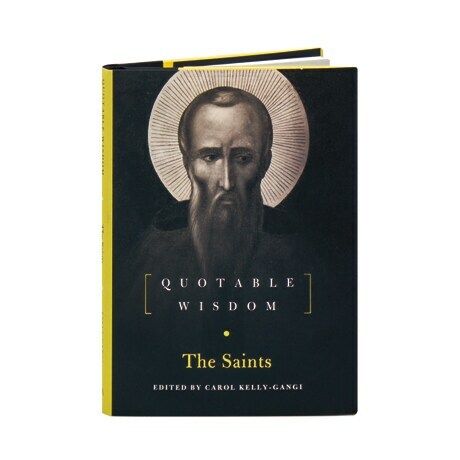 From St. Vincent de Paul, who reminds us to be merciful, to St. Francis of Assisi, who prays for the strength to endure suffering—along with such fellows as St. Patrick of Ireland, St. Frances Xavier Cabrini, St. Gregory the Great, and St. Elizabeth Ann Seton—more than 80 saints are quoted in this handsome, compact companion. Topic by topic, they inspire, guide, and challenge readers as they illuminate their joys and disappointments, their spiritual bliss and perseverance, their sanctity and humanity.